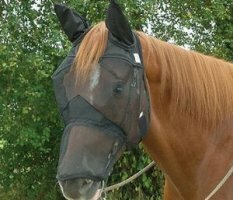 Attach to Halter Nose Shade providing 90% UV protection for the entire muzzle. 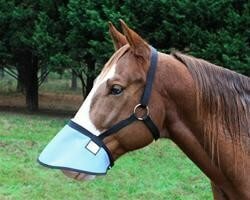 Quality protection for your horse with a white muzzle, easy to wear, comfortable and all 90% UV proof. 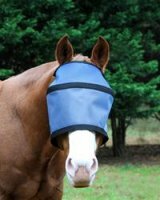 Attaches to halter with heavy duty velcro fastners, has adjust ability around the nose band. 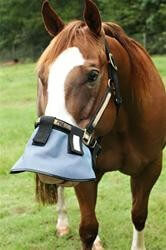 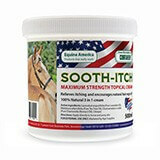 Sheepskin can be added for horses who need it.